Dave Ramsey has very popular and effective advice, as do financial advisors and other professionals that can help you make a plan and stick to it. So for this article, I will focus on the negative impact money often has on our lives and our relationships and pinpoint ways that financial stress can be alleviated. Here are some helpful rules to follow as you build a better relationship with the money you make. Don’t hide from your debt. If you’re reading this article, I can guarantee you have debt to take care of. It might be from a home, a car, education or credit cards. 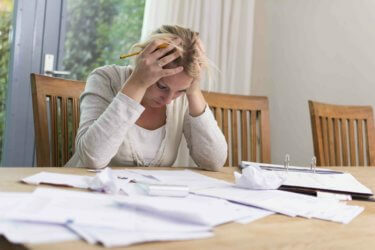 Whatever it is, that debt can be a dark cloud that follows you as you go about your day. Just like any problem, when we’re aware of a financial issue that needs to be taken care of, it can feel pretty good to sweep it under the rug and pretend it doesn’t exist. It alleviates pain in the short term. Problem is, the long-term repercussions can be catastrophic. Outrageous interest rates and unwise spending can quickly make a manageable debt nearly impossible to recover from. Make no mistake, friends. Debt is your adversary. To fight it properly, you have to know everything about it. Face your fear and check your statements regularly. Once you have that knowledge, you’ll be better equipped to attack your debt. Bring others in on it. There are so many households where it’s the responsibility of just one person to handle the finances. That person is “good with money” or “the responsible one,” which then gives the rest of the family an excuse to live a blissfully ignorant financial life. If I may keep the battle metaphors going, wars tend to be more successful if you have powerful allies on your side. Family members, close friends, people in your church and, of course, financial professionals can all contribute to making and sticking to a financial plan and—perhaps more importantly—making you feel less alone. If the entire household is kept in the loop on financial matters, you can keep each other accountable. Splurge on the things that give you joy. There is a wonderful little book by Marie Kondo called The Life-Changing Magic of Tidying Up. Kondo, an organizing consultant, is a decluttering wizard who preaches beauty in simplicity. One of the first things she asks her clients to do is go to their closet, take a look at each item, and ask “Does this give me joy?” Keep it if it gives you joy. If it doesn’t, it’s outta here. People with money related stress often get themselves into trouble because of impulse purchases. They see something, they develop an intense desire for it, they buy it and experience remorse soon after. To combat those powerful impulses, take some time and write down several purchases in your life that regularly give you joy. These things are different for everyone. You might be filled up by travel, or a great meal at a restaurant, or cooking with high-end ingredients or having an impressive book collection and a cozy reading nook at home. The specifics vary, but the universal truth is that we all buy things that bring us joy and make us happier to be alive. That is the stuff that should be splurged on. Everything else? It’s outta here. Finally, if you or someone you know is struggling with money related stress, please do not hesitate to reach out for help. We have over 35 counselors at Stenzel Clinical Services that are here to support you and aid you in finding the help you need. Contact us to make the first step, we are here to help.